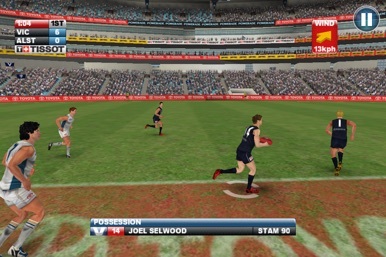 INTENSE AFL ACTION- The ultimate iPhone, iPod Touch & iPad AFL experience! 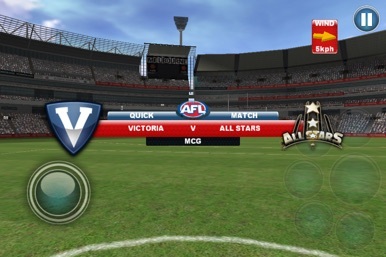 Challenge yourself with full competitive matches in AFL Quick Match, brought to you by Tru Blu Entertainment and Wicked Witch Software. *Supports iPad, iPad 2, iPad 3, iPhone 4S, iPhone 4, iPhone 3GS, iPod Touch 4th Gen and iPod Touch 3rd Gen.
*Requires iOS Firmware 3.2 or later. The best way to throw yourself into the action! 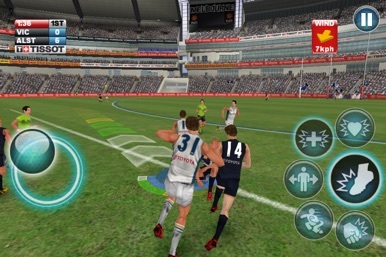 For a quick fix of some AFL fever, immerse yourself in some fast paced gaming as you battle it out on field! Realism takes over as you’re propelled into the on-field game play through advanced graphics, animations and sound. 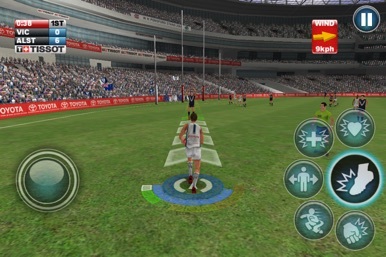 You’re on your way to playing your ultimate AFL game! 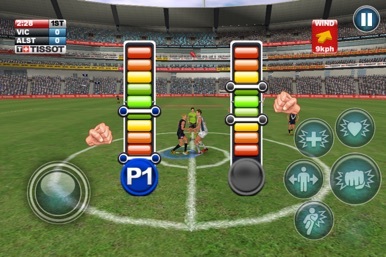 Features full 3D stadium, goals and players with motion captured animations that create impressive and realistic visuals. Combined with stylish camera transitions and smooth effects, you will be catapulted right into the action!